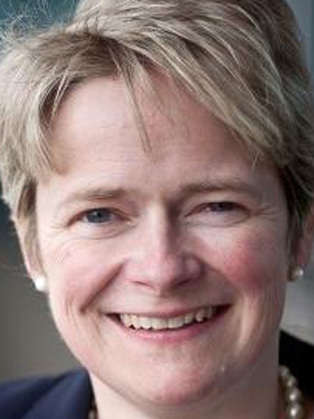 Baroness Dido Harding began her career as a consultant with McKinsey, Dido then moved in to retail. She took on senior roles with Thomas Cook, Woolworths and Tesco. Prior to her appointment as CEO of TalkTalk, she was Sainsbury’s Convenience Director leading the supermarket giant’s successful expansion into the local convenience store market. At TalkTalk, the UK’s main broadband and telecoms challenger brand, Dido took on the might of the likes of Sky and BT. She oversaw the company’s demerger from Carphone Warehouse, its separate listing on the stock exchange, and acquisitions of other suppliers and content providers. She turned the company around, and led them through various problems most notably the large-scale attack which saw the theft of the details of up to four million customers. Her swift, public response was in contrast to many of her peers when faced with similar crises and she was praised by a Parliamentary Committee for her transparent and strong leadership. She also led the regulatory, political and media campaign for greater competition in the telecoms sector, which resulted in the eventual break-up of parts of BT’s business. Dido stepped down from TalkTalk around a year after the data breach had been resolved and the company had returned to a stable footing. She remains one of the UK’s best-known digital business leaders, and is a regulator commentator on what the digital revolution means for businesses and society, and how Britain can build a successful, inclusive, digital economy. After leaving TalkTalk Dido was appointed as a non-executive director on The Court of The Bank of England. She has also served on the boards of The British Land Company and Cheltenham Racecourse, and on the Prime Minister’s Business Advisory Group.